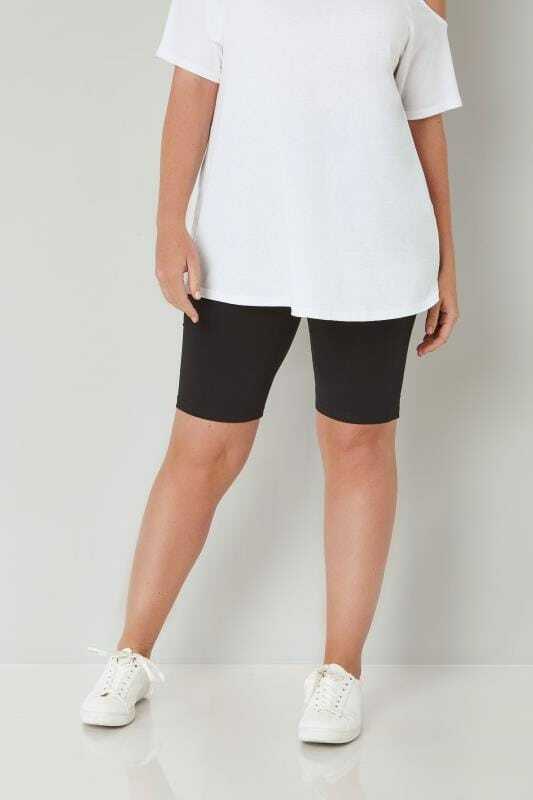 Keep it brief with our range of plus size shorts. Perfect for sunny days and warmer climates, stay cool with lightweight linen and cotton staples. From monochrome shades to bold colours, curate your wardrobe with new-season styles. 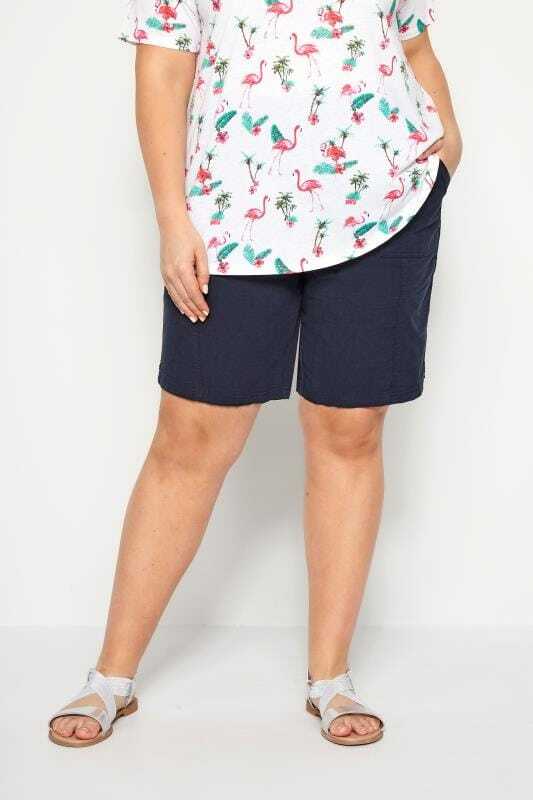 Give your wardrobe a new-season update with our range of plus size shorts. Ideal for holidays and warmer climates, this collection has you covered whatever the occasion. Shop cotton and linen fabrics to stay cool in summer weather, or everyday denim and jersey staples for a relaxed low-key look. Ideal for cooling down in warmer weather, our range of cotton and linen shorts are a must-have for holidays and summer sun. In a relaxed design, our garments feature elasticated waistbands for an extra comfortable fit. Choose from a selection of different colours and leg lengths to find your perfect look in sizes 16 to 36. Ideal for casual wear and day-to-day activities, our selection of denim shorts are the perfect substitute for jeans. From plain styles to embroidered designs, our range has you covered no matter what the occasion. Dress up high-waisted shorts with a woven blouse and sandals, or go for a more laid-back look with a t-shirt and trainers. Made from a comfortable jersey fabric, this collection is perfect for off-duty days, workouts and relaxing at home. Versatile and easy-to-wear, this wardrobe staple is a must-have for casual wear. In a selection of colours and prints, simply style shorts with a plain t-shirt, hooded jumper and trainers for the ultimate comfortable feel.